I fear the truth in the adage ”out of sight, out of mind”. You wouldn’t believe my computer desktop! It is a cluttered mass of folders and icons. I just know if I put anything away into a file, I will forget about it and I have new ideas coming up all the time. The same goes for my bedroom/work space. We have had to come up with some interesting solutions to the lack of space in this little home which means we have two single beds side by side, one of which folds away during the day so I can have some floor space on which to work. I still seem to end up with piles of stuff on the floor everywhere…weaving sketches, books, tools, baskets of yarns, things I don’t dare put in a cupboard or closet because they serve to remind me of the latest new weaving idea I have had. They have to be covered so the cat won’t get at them. It is a merry mess, it lives and grows and never stagnates. But, it’s time for a change! The fact is that there simply isn’t anywhere to put things anymore as my books have completely taken over…no more floor, shelf or closet space left but aha! there is wall space! So, I am going to have lovely woven storage bags hung on the wall to hold my project bits and pieces and, on the whiteboard, a nice orderly list of what’s waiting to be explored. The bedroom will start to look like some kind of crazy textile bazaar! Actually it kind of does already. Storage bag ideas: I love the woven sacks that are used up in the highlands for storage, transport and display in the markets and fairs. I have been searching for ideas for interesting bag shapes but I have to admit in the end that a rectangular piece of cloth folded in half and sewn together at the sides is probably the most economical if not the most elegant way to create a practical bag from a piece of handwoven fabric. You can see one deep storage bag that I have at the top of this post that Tracy sent me from Qatar. 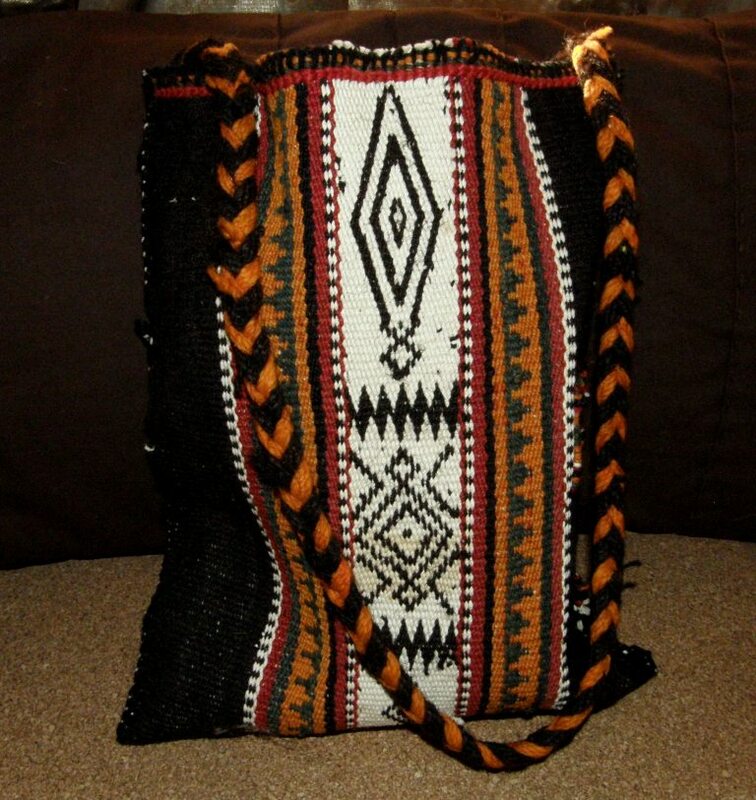 The wool fabric is part of a Bedouin tent divider. That currently holds all my Tour de Fleece gear. 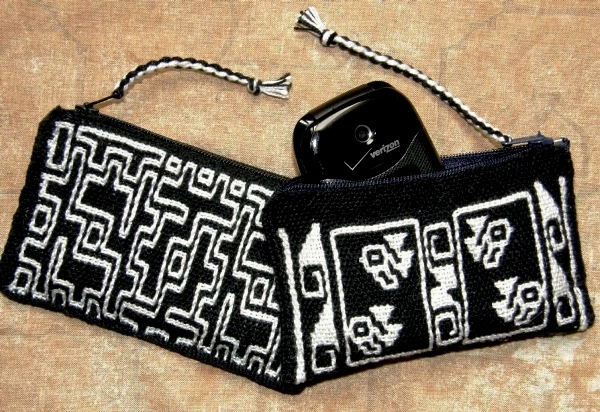 This wool bag that I made years ago with Mapuche designs woven with supplementary warps hangs on a doorknob and holds all my camera stuff…battery recharger, cables, tripod attachments etc. This gigantic cotton bag with Guarani pebble weave designs, which was bought here in Santa Cruz, hangs off one of the bed posts. So there are more bags to be made so I can get everything off the floor and onto the walls! Well, you all know that I am just looking for an excuse to weave more things. So, I am in the process of weaving a hanging strap, which I couldn’t resist decorating, for what will be a new storage bag made from a piece of fabric I wove some time ago as an ikat experiment. 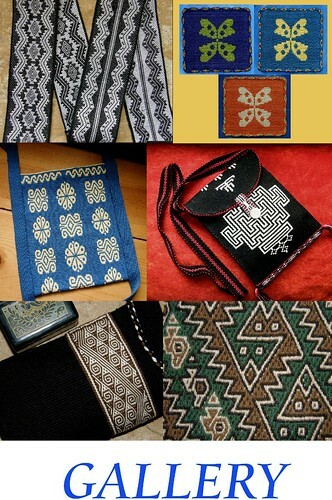 The strap has motifs from Bhutan as does the bag fabric. 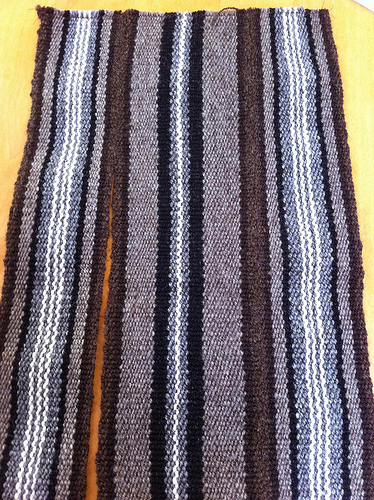 It will also need a back and some sides in plain black…it will be very fast to weave those. 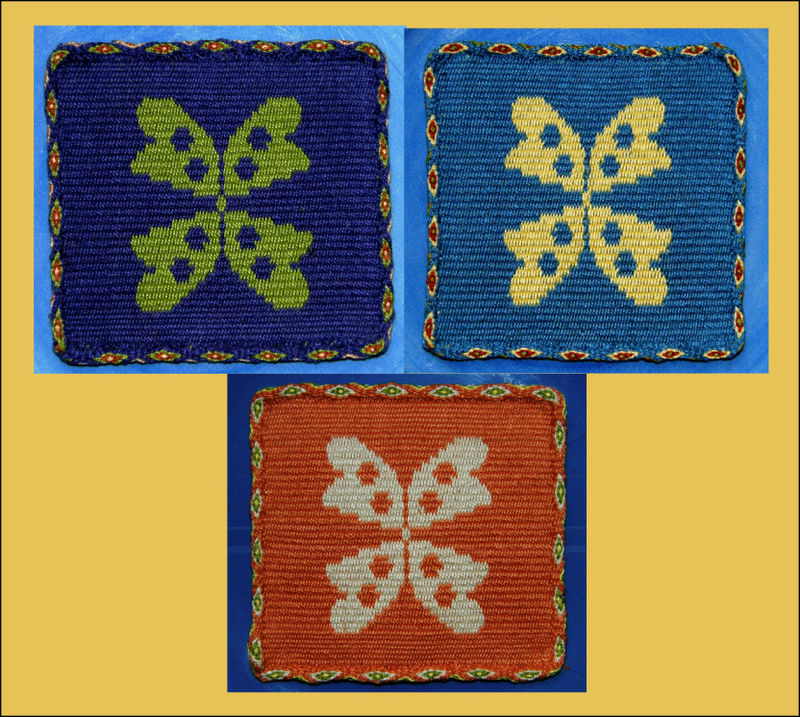 The motifs have been woven using supplementary wefts. I used one and a half strands of embroidery floss as the supplementary weft with my 35wpi cotton warp and weft. Veeeery slowly things may become a little better organized. I have been admiring the designs made by the Huichol people of Mexico in balanced double weave for a long time ever since I first ran across their work in a museum in the US in 2007. 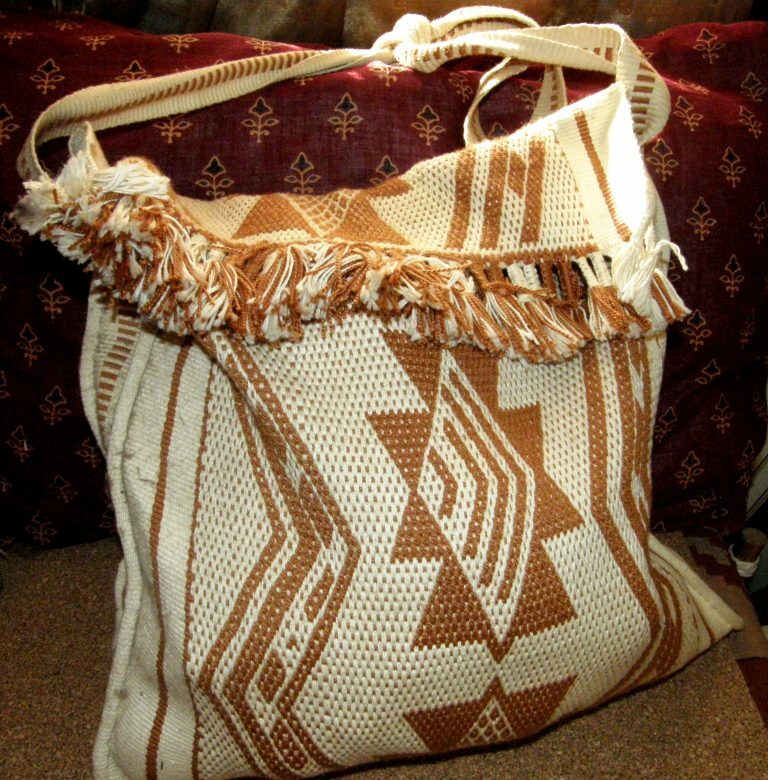 They make bags on which they add large corner tassels and have an unusual way of braiding the warp ends. These are a couple of samples I made in this technique some time ago. I prefer the patterns that they use in their belts and so I will probably try to make a storage bag in this double weave with motifs from their belts. I wonder if I can figure out how they work those warp ends. The other project I worked on this week was the mug rug set. 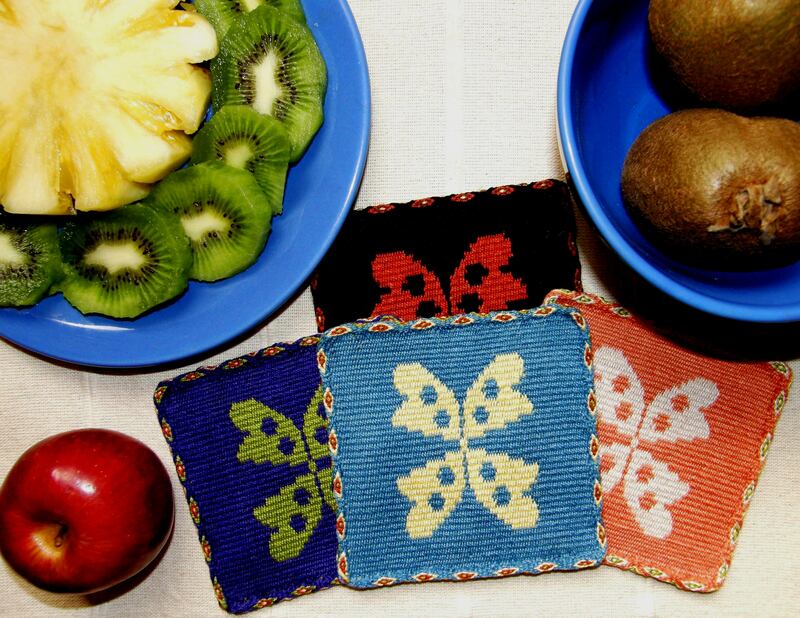 My friend, who has decorated her kitchen with flower and butterfly motifs, saw the prototype I had woven (at left) and asked for a set for her breakfast bar. Now she tells me that they are too pretty to use and that she will put them on her wall. I have made three and will wait for her to choose the colors for the fourth. 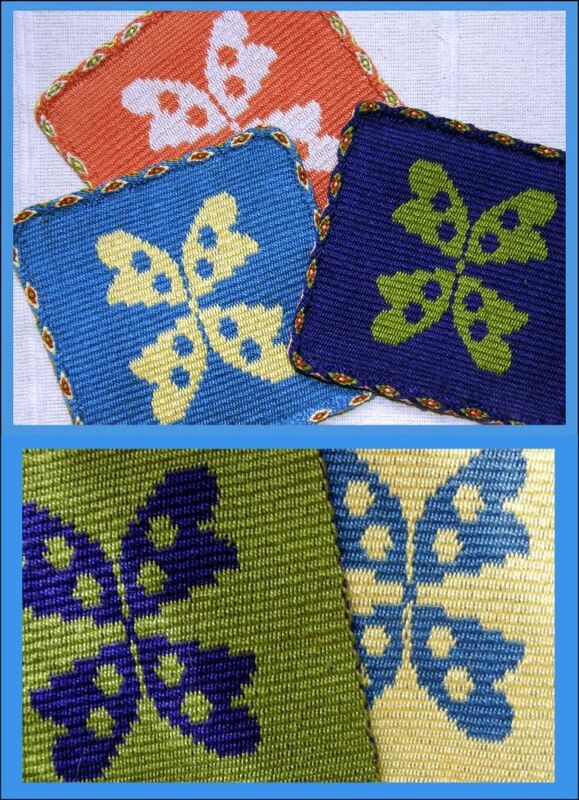 The motif is neither butterfly nor flower and is based on a Guaraní leaf design which I wove one way and then mirrored. 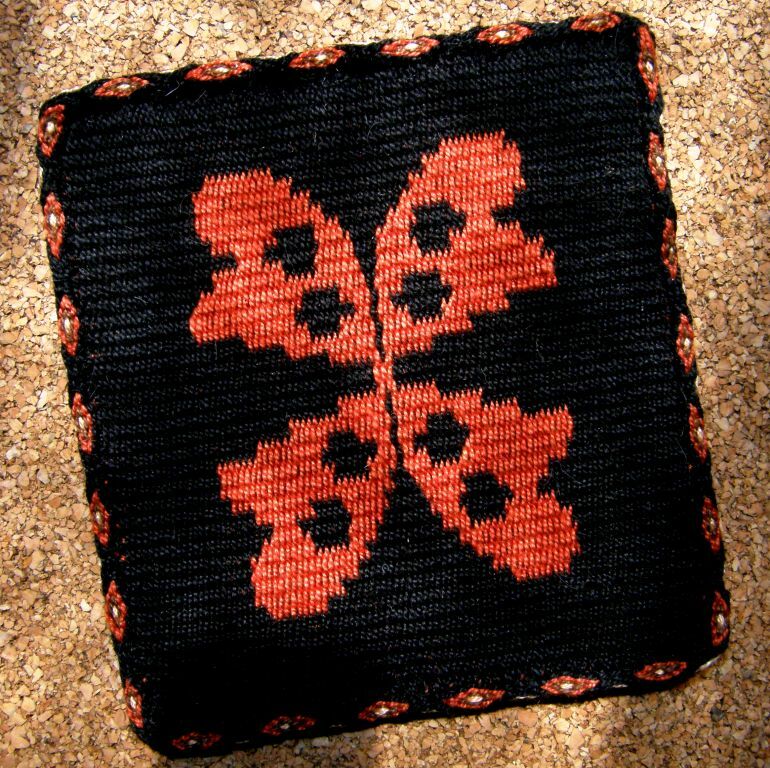 The red and black sample, which is larger than the other three, will stay here as my tea mug rug where I work on the floor and the other three will go to Evelyn with a fourth one yet to be made. They have all been edged with tubular bands. Evelyn’s kitchen is yellow with bits of green and blue in the wall tiles so I think these will look nice there. It’s hard to decide which face to make the “right” side. There is another commissioned piece that I have been working on, which I can’t show here yet, but this piece has made me even more enthusiastic about the simple string heddle. This is a particuarly long but narrow piece that I am weaving in Andean pebble weave and I have set up the warp with four sets of string heddles (two more than I would normally use for pebble weave), and what an incredible time saver this has been! This project is simply zooming along! The black and white cord that you see in the warp is my “saver cord”. By using these two additional sets of heddles and the saver cord I actually get to do seven consecutive weft passes without having to do any pick-up for this particular design. String heddles are so cool! I love how they allow you to put one warp thread into multiple sets. No matter how they are made, whether they are single or continuous, I love them. You can use one, two, three or four as I am currently using. I am not sure what limit I would put on the number that I would personally consider comfortable or practical for my own backstrap weaving. I have seen backstrap weavers in pictures with many more. The warp on this vertical loom in Ecuador will have eleven sets of patterning heddles plus one that will control one of the two plain weave sheds. They can be made on a stick, made around the fingers and knotted into a bunch or chained together. There are so many different ways to make them with no one particular way being the “right” way. I have chosen my favorite ways over the years but love seeing and learning new ones. 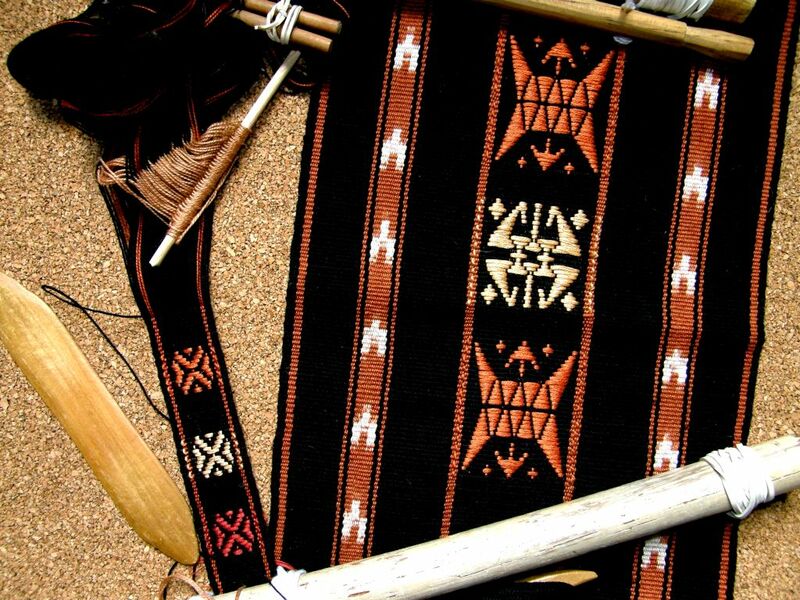 Education and More has just posted the following video on YouTube showing a Guatemalan weaver teaching her foreign student the way she makes her string heddles. While on the subject of Guatemala, it is always fun for me to go to Facebook and see the latest video that Red Corn Tours has posted on Guatemala…weaving, costume, festivals and different aspects of simple daily life from the making of tortillas to the washing all those beautiful hand woven huipiles. And now for our plain-weave backstrap loom weave-along progress…. We started this week with more people, so far, opting for the balanced weave project after a flurry of pre weave-along DIY reed and hole-and-slot heddle making activity. Warp-faced projects for the color and stripes challenge from Bobbie in cotton and Jennifer in her homespun wool. 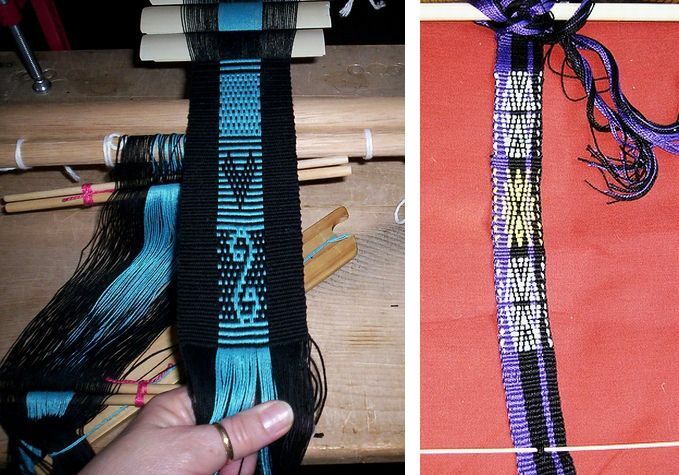 Those who have not joined the weave-along have been turning out projects on their backstrap looms as well. Jennifer is weaving a balanced piece using hemp yarn and a reed made for her by Janet. She has also finished three plain weave warp-faced panels with her homespun wool which will be joined into a bag. Here's the beautiful reed that Janet made. Kathi has set up her loom with a rigid heddle with different kinds of yarn for her balanced weave project. Cindy has joined in showing us her warp wound on its stakes and there she is with loom set up and ready to weave a warp-faced band. Blomster is using wool in a piece she is weaving with a rigid heddle on her backstrap loom. It is pictured next to the warp-faced band she made with the same warp. 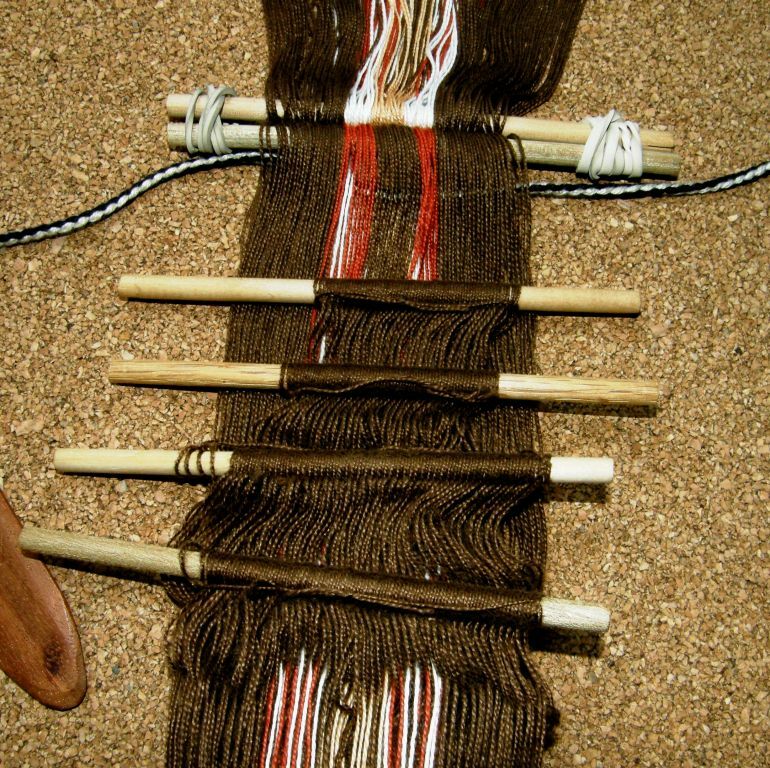 She is making a bigger wall hanging using her rigid heddle loom and natural color and madder-dyed wool as, being new to backstrap weaving, she does not feel ready to attempt such a wide piece yet on a backstrap loom. Her wide piece is inspired by the hanging you see nearby which she bought in Oman. She thinks that it was probably made with goat hair. Both Amber and catknitlatte have reported that they are on their way and we hope to see progress pictures soon. Fiall and WannaGTD finished these backstraps before the weave-along started but these backstraps could easily be weave-along projects as they fit the plain weave criteria. 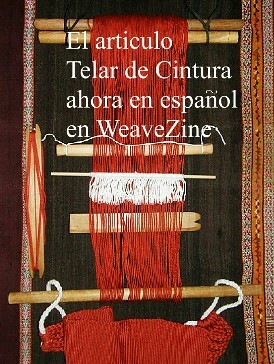 The instructions for weaving these backstraps are in my WeaveZine article. Janet is making a shawl using her 24" rigid heddle and a bunch of different yarns. Her warp is cotton and her indigo-dyed weft will come from her homespun stash. This is really amazing! She will weave it in several panels. Knitnfrenzy and ElizArtist have both checked in. Knitnfrenzy is going for a warp-faced project while spindleori showed us her homespun, at left, which she will weave up with a rigid heddle to make a bag. Dygvvi is going to weave fabric which will go around a frame to make a yarn storage bucket. We are waiting to see what Franco, AuntJanet and Phil have been up to. We know that Phil has a painted warp and can’t wait to see how that is going. Marsha and Traudi have been working on their patterning techniques on projects outside the weave-along. 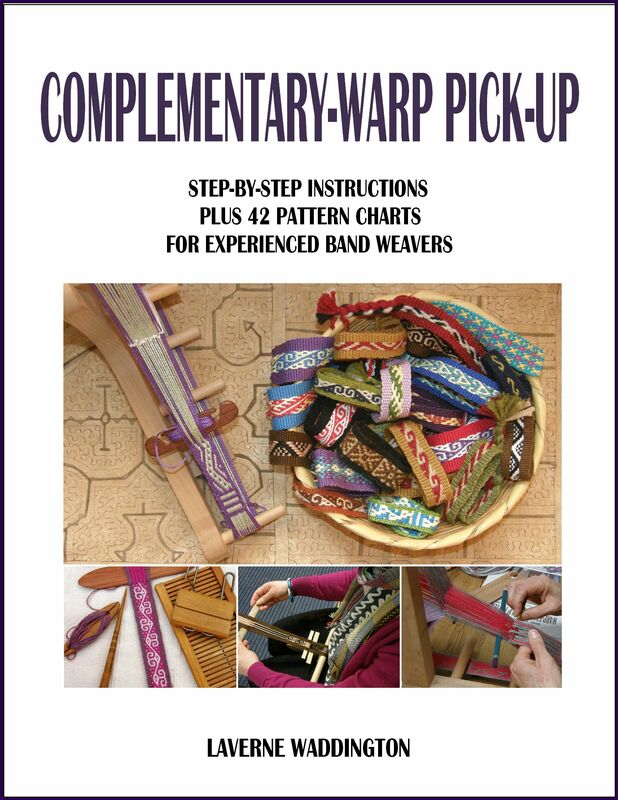 Marsha's band has designs in both simple and two-color alternating floats ("warp floats galore") while Traudi has been playing with supplementary weft patterns. And what about my weave-along project? Blush…I had better get going and go warp one up! We too live in a very small space and are forever shuffling things around! It is always harder during the rainy season because no one can do projects outside. I think bags on the wall sound like a great idea. They will be functional as well as decorative. I have been experimenting with your supplementary warp tutorial, trying to design my own patterns. I find that every design I create ends up much elongated when woven. I am trying to teach myself to compensate in the design. 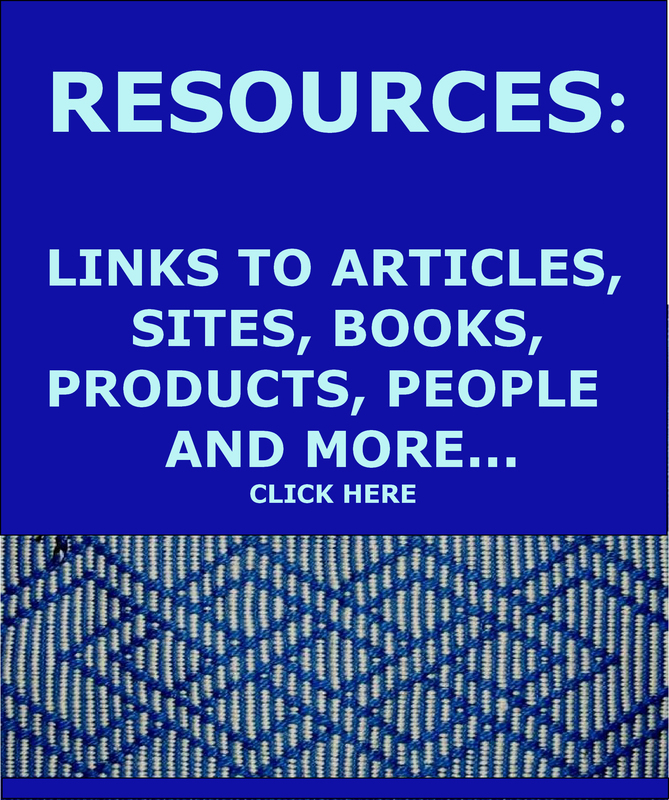 Your blog is such a great resource! Everyone has their own beat and tension on the loom so one design woven by six people will most likely look slightly different for each person. 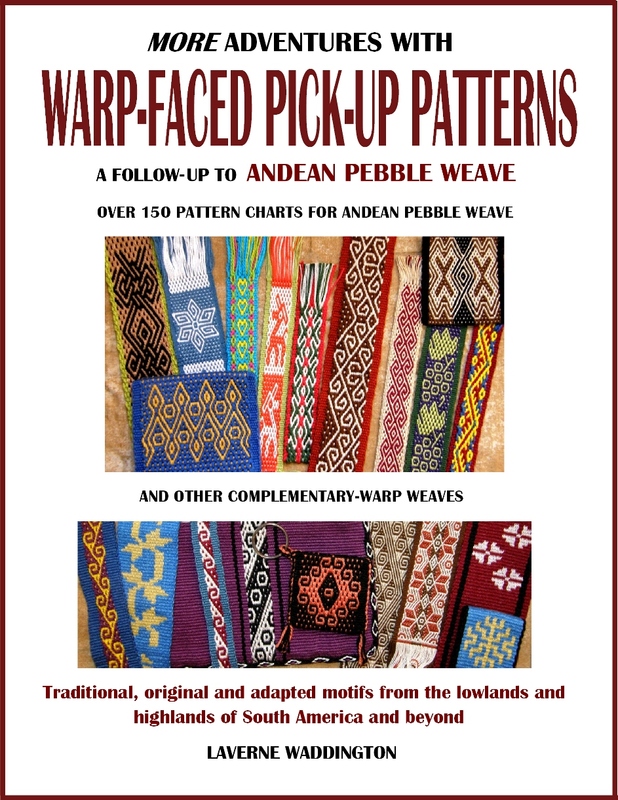 I am sure you will figure out how to chart for your own weaving style. 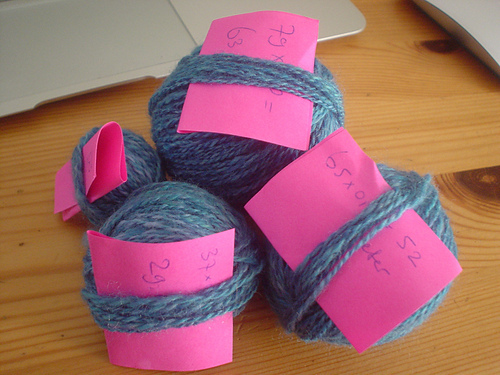 I am assuming you meant supplementary weft rather than supplementary warp but the same goes for any of the patterning techniques. I am working so hard to learn pebble weaving. Your blog is inspiring. I love seeing your beautiful work. I just don’t seem to be able to get my string heddles to work. I must be missing something. I would love to help you but it is impossible without more information. I wonder if you have used just one set of string heddles before. 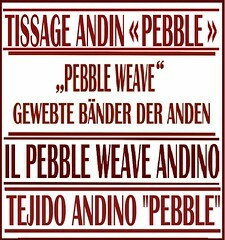 Maybe you should start off by making a plain weave band using one set of heddles before advancing to pebble weave where you need to be able to manage two. I don’t consider pebble weave a good technique for a “first time ever” backstrap weaving experience. As always, I love seeing your and everyone’s work–just gorgeous! Your bags on the wall reminded me of the Shakers in that they used to place pegs on the walls of their dwellings, to hang up anything and everything–including their chairs. Maybe you could have someone make some pegs on a board and attach it to your walls. That way, you’d have even more room for bags. You have reminded me of the stilt house in which I stayed in coastal Ecuador where the family also hung all their chairs on the wall and chose most of the time to sit on the floor. Their “living room” floor space was basically clear. There was a hammock and maybe a small table in the corner. I love the mug rug set you weaved this week. The matching colours and design are great, but the tubular band makes the difference! Could you give us some instructions about the Moisy technique? I’m so glad you got the bag!!! And just in time for your new storage system, too. I’m just barely back in the world, and have not talked to Berta yet, so I was very happy to see the bag in your possession. Welcome back to the world! Hugs to you and Berta and thank you so much for the bag!